National Donate Life Month may have ended, but for four people, and their families, it will never be forgotten. On Friday, April 26 Froedtert Hospital reported that earlier in the month, within a 12-hour period, one deceased organ donor and the transplant team at Froedtert Hospital saved four lives. On Thursday April 4, a patient at Froedtert donated multiple organs that matched four patients on their recipient list, providing a rare opportunity for their transplant team. Following organ procurement, four surgical teams assembled, and the recipients were prepared for surgery. The first patient, who was in their ICU, received a combined liver and kidney transplant, performed by Drs. Johnny Hong and David Cronin. The second patient received a double lung transplant by thoracic surgeons Drs. George Haasler, William Tisol and Robert Love. Dr. Love and Dr. Mike Mitchell, from Children’s Hospital, performed the heart transplant on a third patient. And the fourth patient received a kidney transplant performed by Dr. Allan Roza. "Because the organs all matched recipients for Froedtert patents, we moved quickly to mobilize four complex operating room teams that would be working simultaneously," said Gary Seabrook, MD, senior director of surgical services for Froedtert & The Medical College. "There was so much coordination required. These are operations we perform frequently, but usually not all at the same time. Members of the liver transplant team may also be assigned to the heart or lung team." Seabrook said more than 30 Froedtert staff members were involved in the transplants, including operating room personnel and extensive back up from the blood bank and pharmacy services. "The system was stressed in a few instances, but all in all it worked tremendously well," Seabrook said. An extensive debriefing was conducted to analyze work flows and identify areas for process improvements. A timeline detailing the events is displayed on several large sheets of paper in the OR conference room. Dr. Hong, director of the Solid Organ Transplantation Joint Program, said the simultaneous multiple transplants were a first for Froedtert Hospital and what he has been working toward since he came here last year. "Internally, our goal is to do this every night," Hong said. "It went well. We got all of the organs procured and the organs transplanted. The patients are doing well. There are opportunities we can improve on, but it’s a good start." 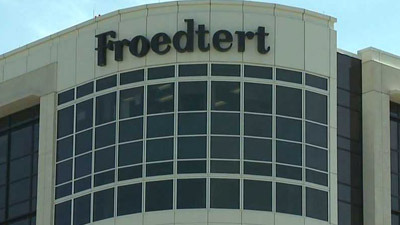 As their solid organ transplant program grows and the heart failure program matures, multiple organ transplants will become routine at Froedtert, Seabrook said. "We learned that we have the ability to coordinate many individual sequences in the OR and have them occur simultaneously," Seabrook said. "As a leader, I watched the staff perform extraordinarily. They were dedicated and resilient." It is amazing that Froedtert was able to perform this unique set of procedures all in one day, but the truly remarkable feat, the true hero, is the person and their family who agreed to donate the organs. We don't know the details of how the one person lost their life, but they in turn gave life back to many, four in less than a day. Please consider registering with the Wisconsin Donor Registry.